This week we've been trying out Table Fables, the fun way for little ones to get to grips with learning their times tables. 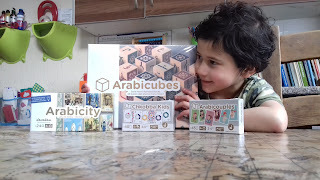 Read on to see what DS7 thought of it, a discount code for home educating families and a lovely story from Becky, the CEO of Table Fables, telling us how Table Fables came about. DS7 began by getting to know the cute characters before tackling each times table, level by level. I have always been keen for the kiddies to know their tables by heart, which makes teaching Maths much more easier as they progress through each Maths topic. 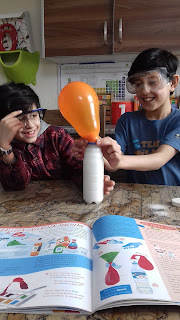 Table Fables has made it much more fun as they enjoy playing each level, and feeling proud of themselves as they complete each lesson. There are lots of short video clips followed by a quick test question to see if your child has understood. 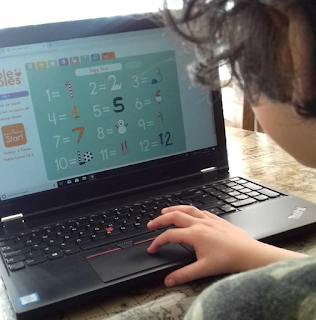 With DS7 having already learnt most of his times tables already, he jumped straight ahead onto level 3 which tested and revised his knowledge of each set of tables. Grab yourself a cupp and have a read of today's Home Education Q&A with Chelsea. When I was 16, a little girl(first grade) came home from school and asked a question about a sexual act that she heard a boy talking about in class. It was that exact moment that I started wondering about homeschooling. I didn't even have children yet but I knew the kind of mother I would be. Over the next five years, the stories just got worse and solidified my desire to homeschool. I wanted to preserve my children's' innocence for as long as possible. I also wanted learning to be a healthy and happy environment. Oh man. This changes day by day. One day we will dive head first into books with loads of structure and the next we will spend the day in nature building forts and learning about flora. That's the beauty of homeschooling. Learning can happen anywhere. 'Look Mummy, I can see a little dog!' shouts DD4!! The kiddies have been on an amazing adventure in the city this week through the pages of this new book In The City. Spring has arrived and wildlife is waking up along our 2,000 miles of canals and rivers. Why not download your free Nature Spotters' Guide here from the Canal & River Trust. Who are the Canal & River Trust? 'We're the charity who look after and bring to life 2,000 miles of waterways, because we believe that life is better by water. Reading has never been a difficulty for my children, a subconcious skill they acquire from a young age. 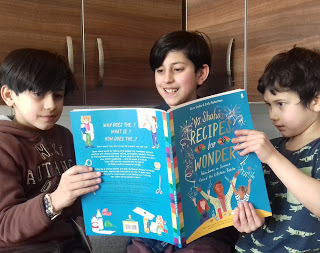 As a family of avid readers we regularly sit together to read, sometimes reading poetry out aloud, at other times we are engrossed in our own story books, either way, we sit together to read as a family. The younger ones see this and yearn to do the same. DD4 will take out her chunky board books and picture books, and sit with us around the fireplace. This has encouraged her to learn to read and she has been sounding out the words herself and now happily reads away. But reading doesn't always come easy to some children, they need extra help to chunk up words and understand the sounds. 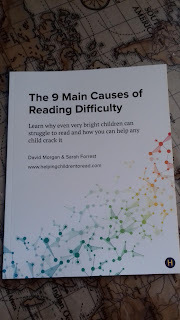 I have been reading this interesting book from Helping Children to Read which gives parents the tools to find out why their children are struggling to read. 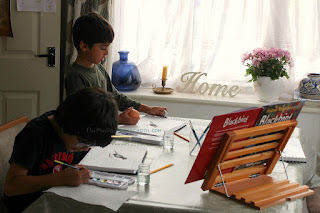 The boys have loved playing Minecraft for a long time now and they have a multitude of Minecraft titles to guide them along the way. 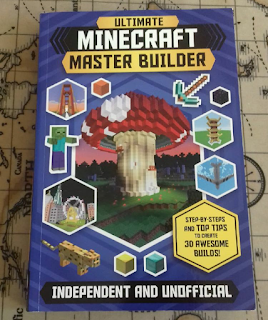 This new Ultimate Master Builder book from Carlton Books is a great new addition to their growing collection and has some 'awesome' new builds the boys are saying. It comes in paperback and is a handy size at 229 x 153mm so the boys can cart it around with them easily. They read it at leisure when they are in the car or study it careful when sat at the computer. The boys have gone bike mad again this Spring and are dreaming of summer days then they can whizz around the park in the afternoons. 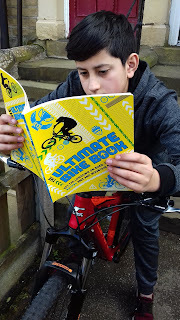 DS12 is checking out this new Ultimate Bike Book from Carlton Books, so that he's clued up on how to repair a puncture when he's out and about. If you’ve worked with early or struggling readers before, then you’ve certainly seen the tell-tale signs. Reading “for” instead of “from”. Guessing words based on the first letter. Using context clues or looking at the pictures to figure out the words on the page. It can make you (and your child) want to tear your hair out. And with good reason… guessing is actually a sign of the number one cause of reading difficulty in young children: whole word sight-reading. What’s so bad about guessing? The problem with guessing is that it is not a sustainable way to learn to read. Our language is built phonetically. By that I mean that our letters represent sounds (also called phonics). When a child guesses, they are trying to read visually instead of phonetically. 'We're teaming up with Blue Planet Live to bring the wildlife of our blue planet into your classrooms! Even though this is aimed at schools throughout the UK I thought it would be nice to share with the Home Educating community. 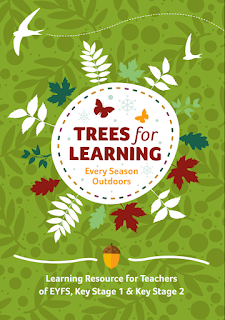 Check out this Learning Resource for Teachers of EYFS, Key Stage 1 & Key Stage 2 here. It's Spring! My favourite season to start planning themed crafts for DD4. 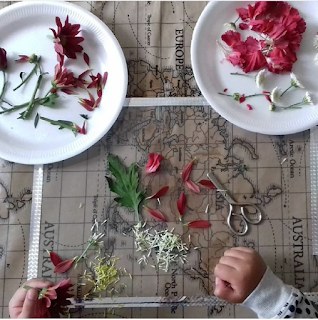 She loves making and drawing pretty butterflies and colourful flowers so I try to plan and prepare simple, fun crafts and activities for her to be getting on with, whilst I teach her older siblings each morning. 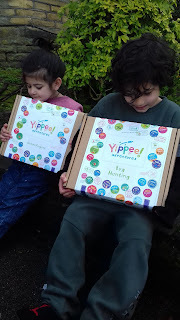 Here are my top 20 favourite Spring activities! Here DD4 is placing petals and other parts of flowers she has cut up onto sticky back plastic, you could also use cellophane, adding glue first. We then hung up her work in the window! DD4 enjoys weaving grasses and flowers during Spring/Summer. Weaving can be done on a small scale using cardboard and wool or on a larger scale out in the garden using whatever materials you have. Each spring we receive free flower and plant catalogues through the post. We use these to cut up and make collages. DD4 also looks at the pictures to create her own flowers learning all about the parts of the flower along the way.